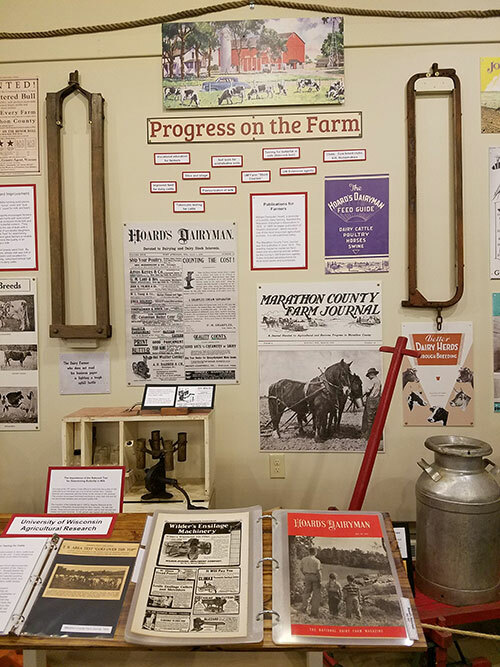 A historic dairy exhibit has opened in Wausau, Wis.
Wisconsin’s Marathon County was a logging community until the late 1800s. At that time, farmers permanently settled in the area, pulling up tree stumps and planting crops to feed their livestock. Dairy was a logical option to make a living in the area. Today, Marathon County ranks second in Wisconsin for both number of cows and number of dairy farms. There are 61,000 cows on 554 farms in the county, according to 2016 USDA statistics. Often called the “Sleeping Giant of the North,” because it was not well-known for its dairy industry, despite having more dairy cows in the county than any other U.S. county in 1964. 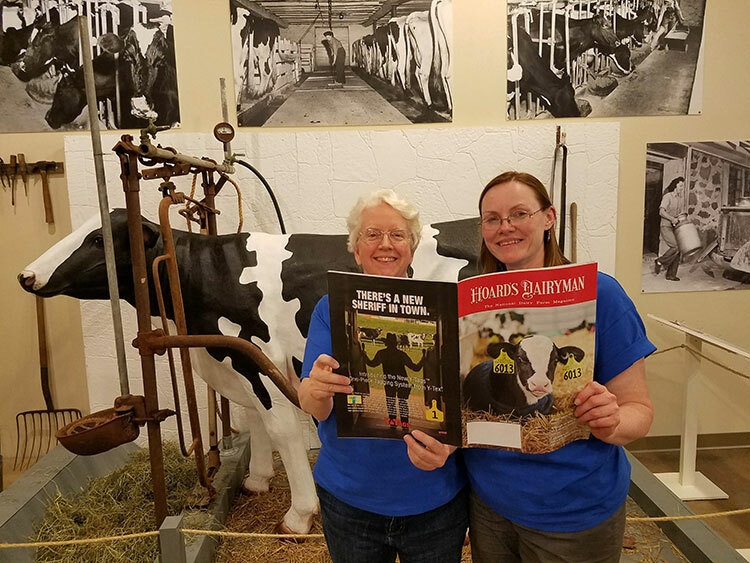 The Marathon Historical Society decided to trace the dairy industry’s development in the county and share it with the community. 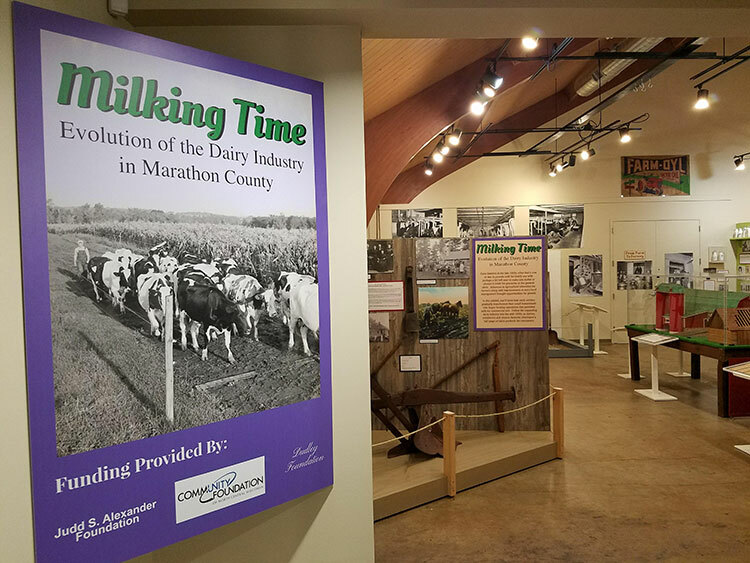 An exhibit titled, “Milking Time: Evolution of the Dairy Industry in Marathon County” opened a few weeks ago. It contains collectibles and historic pieces to showcase the strong history of the area, starting in the 1870s and continuing through the 1950s. Visitors can see the advancements made in milk testing, breeding, and animal health, as well as mechanized equipment. The presentation area also includes a wall depicting current farming practices. 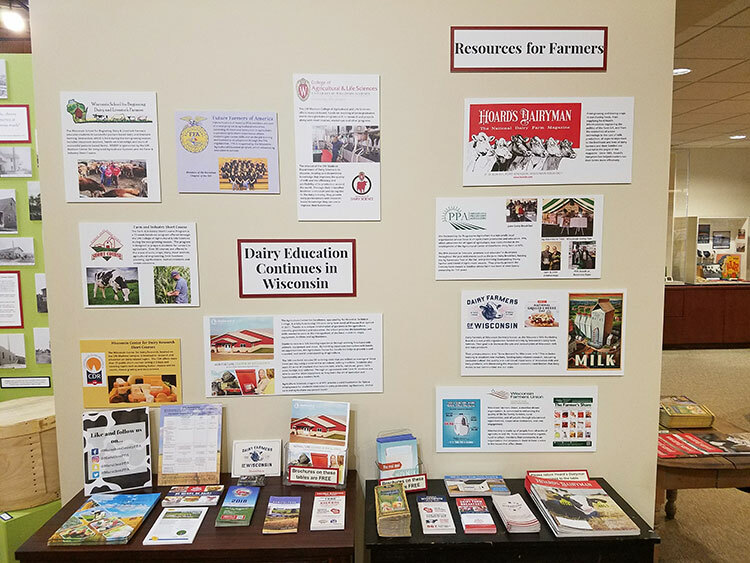 Credit for herd improvements were often given to the education farmers received from the nearby technical college and University of Wisconsin-Extension agents. Kathy Volkmann and Linda Forbess were the exhibit designers (pictured above). Hoard’s Dairyman was asked to supply some early issues of the magazine, as its origin in 1885 coincides with the Marathon county’s aggressive pursuit of dairy farming. Additionally, the marketing of the county’s cattle was done through Hoard’s Dairyman and other regional papers. The exhibit is free to the public and is located in Wausau, Wis., in the middle of America’s Dairyland. The display is housed in the Woodson History Center at 410 McIndoe Street.